What have I done to the psalms? In these past 8 weeks I have concentrated on reading out loud in Hebrew. If you have tried with a typical TNK you know how hard it is. The letters are difficult to decipher especially gimel and nun where the print is just too small and the little notch at the base of gimel is invisible. You look at the average TNK for the psalms, and the words are completely mystifying as to the rationale for their placement on the page. If you read as I have from the four column parallel Hebrew-RSV - NETS - LXX, your eye is constantly jumping from line to line with the conflicting psalm and verse numbers. That's just how it is. The online tools are helpful but they just don't give me what I want to see as well as hear. Mechon-Mamre makes no attempt to show recurrence or to highlight the parallels. There is nowhere that allows the prosodic foot to be seen. Mosts texts are too concerned about the price of paper to allow visual clues of this nature. We have blocks of text that reveal their riches slowly. This is what I have done - besides reading, I have laid out the Hebrew and the English side by side so that I can see, feel and hear the parallels and the recurrence and the insistent imperatives in these 150 chapters. And I am beginning to see, feel and hear them. George Herbert's Easter Wings are a good example of prosody gone wild. Maybe there is some of this in the psalms too and we haven't seen it yet. I continue to work over the presentation and to read carefully and sometimes not so carefully the words and phrases. As I do - sight recognition is improving. Vocabulary retention is improving. I see words that I don't get or that I have translated without reference to possible allusion and I look them up and if necessary fix them in my source and repair them in the post. These posts are perhaps going to be revised and extended over the next year as I evolve the algorithm for finding roots and as I discover things that might be said of these poems along the way. I am now 4 years old in this ancient tongue. I have still a child's perception. But perhaps it can help others learn also how the texts are put together and therefore how the poet thought when they were first performed. Mostly the Hebrew lines are short - 2, 3, 4 or 5 words. Sometimes I have allowed 1 word on a line to show a parallel later. Where there are 5 or more, it is likely because I have something to fix or that I could not break the English to agree with the Hebrew. I have not intentionally put English words on a line where they do not correspond to the Hebrew, though I might have had to compromise this in an acrostic. This set of posts is therefore quite foreign to the blog environment, where things are over and done with in a wisp of time. As of this bloggy moment, I have reformatted at least once sometimes twice the emerging forms that I started with, I have reread to Psalm 30, I continue to add musical selections, and I revise and correct whatever else I notice. If there is music or colour in the text, the odds are I have revisited it. I hope it is as much joy to others as it has been to me even this far. Full list of posts here. I am annotating my recent spate of posts with music and colour - What a fabulous performance of Psalm 110 - Handel's Dixit Dominus I found. You need to go and listen - and while you are listening, read the posts and help me correct my prosody and interpretations - where are you my readers? Note - if the psalm has colours in it - then it is likely I have reviewed it closely and corrected the mistakes I find. In any case, take care. My reading improved during this exercise over the past 7 weeks summarized here - so I am starting again. I have repaired over 100 posts today conforming the style to what I ended with except for the first few psalms. In spite of the necessity for repairs, I don't think I need to start a new blog somewhere else under an assumed name. I am beginning to wonder if I have enough saturation level to get a handle on what the writer of the epistle of the Hebrews was doing when he used the psalms. Notice the different framing of that question. I'm not actually as much interested in the cultic aspects of Hebrews as I am in the dialogue - the way in which a child is to learn not only from the tradition but from the source - like Samuel. We talk a lot about the cult - it is the foreground. But I think we miss the point since we have the answer. This class of error is more than a blunder. It's a downer. Anyway - I will sleep on it. But I have begun a conversation here with Brian Small who was at the Hebrews conference also. Here is a brief summary of the remainder of Book 4 - from Psalms 125 to 150.
from 125 - 134 we complete the Songs of Ascent - and then we begin to close the brackets that were opened in earlier Psalms. So 135 is the culmination of the prior 15 psalms where the worshipers now stand in the courts of the house of God. 136 identifies the formative event of the Sea of Reeds and the decisive parting is the new frame. This closes the Creation-Redemption themes in the Psalter. 137 closes the lament bracket begun by the early Korah psalms 42-44. 138 begins a series of Davidic Psalms expressing confidence - יְהוָה will complete his work for my sake. 139 shows the intimate completion of this work - but trouble is still evident to the psalmist. The violence of 140 is no surprise and reflects the language of early psalms 7-11. 141 closes the theme of the tongue that appears many times in Book 1. 142, David's final Maskil also closes a frame opened in Psalm 107 at the beginning of Book 5. 149 part of the great Hallel closes the frame begun in psalm 2. I am struck by the realization that the חֲסִידִים appear to be the creation of the Psalter. I find myself wondering if this term is a coinage. If so I would be able to coin the English term 'mercied' for translation. This brief summary shows how Psalm 119 with its affirmative on the testimony is really the culmination of the Psalter. The rest is a consequence - worship and the closing of all the themes opened up in earlier psalms. Along the way of the past 7 weeks, I have noticed several furrowed fields - much like those I ran over on my first marathon as a 12 year-old in the hills and fields north of my old school. I think that period c 1957 was the first time I ever noticed a plowed field. It was very hard to run through. Its tussocks were large for small feet - yet I recall the richness of the soil and places of wetness to be avoided - an image imprinted on my memory. The theme of harvest and its necessary preparation is also in the Psalter. Curious then that my root derivation algorithm (rightly so) does not distinguish arm זְרוֹעַ from seed זרע. Their common sound would easily be heard in the poem. Also related to this theme of harvest would be the plow - the severe difficulty of being prepared for praise. So that when we get there, we do not say - take me away and put me in the lowest place - for the wrong reasons. Similarly an algorithm dependent on consonants alone as mine is will not distinguish the many meanings of חרש, plow, craft, or silence. Are we not crafted in silence as our soil is turned? Recall Psalm 28 (do not be silent) and 129 (the plowing). Harvest is not an obvious theme at the word level. I see it in 'the increase of the earth' in Psalm 67 and 85 and in the metaphor of plowing as well as in the work of the arm and the seed. The graph of words related to harvest is not particularly revealing but the theme seems to me to be there throughout. Psalm 89 focusing on the seed of Israel mixes the harvest and royal themes. The fruit of the harvest is the loving-kindness, confidence, and encouragement of those חֲסִידִים. There are many other themes I noted on the way through the paths of this marathon and there are many touches in the psalms that I noted in my second pass and did not note here. Perhaps I will consolidate them some day. One question to leave open. Shame is a theme as is the issue of enemy, trouble, and distress. Does the psalter avoid the objectification of the enemy? We frequently see phrases like this: Let them be ashamed and confounded who seek my hurt. What is the good of shame and distress for another? I think that overall, there is a recognition of the complicity of the individual addressing God in the troubles. The psalmist notes (after due reflection) that being afflicted was a good experience though miserable at the time. So it is possible that the prayer with respect to enemies could be translated into transformation of the enemy rather than vengeance. That would make praying the psalms a practice of critical value in our times. Are the fields still white and ready for harvest? If so perhaps this is a way to send labourers into them. Doug has an article here expressing a new way of seeing Torah - worth consideration. Here is the JTS commentary this week - a nice understanding of tensions between religion and scholarship. Four verses invite praise from all the created order echoing the poems to creation (103, 104) at the end of Book 4. Verses 5 and 6 give the reason: the commandment, the given commission, from יהוה and his ongoing underlying support through his decree. Verses 7 to 12 then detail in two sections the praise of all parts of the earth and all its creatures. Verse 13, repeating verse 5 gives the special local earthbound reason, that the name of יהוה is a retreat. The repetition of the verse gives a natural subdivision of the poem, 1 to 4, 5 to 14. The pivotal role of Israel is marked in verse 14. Note that the words of verse 8 do not recur in the rest of the poem. Natural disasters are given a central position in the second half of the poem. Every created thing and being is to praise. Every created being has a retreat. This poem is primal: the fight or flight impulse in every created thing from dragon to creepy crawly and the merciful nature of יהוה illustrated to humanity through his dealings with Israel. The bootstrap for sentience is not known to humanity, but the fight or flight instinct has been noted by us. Had I ever thought that even the spider gets its refuge in יהוה? I did not use the word soul in this translation, but one could write about the soul of the beast, for the gift to the animals is clear to anyone who looks closely at the marvel of their actions and brains. Even the dragon and the abyss are invited to praise. These words draw in all the potential confusion and fear in the magnificence of creation. The abyss is a treasury (33:7) and a metaphor for the judgment (36:7). Psalm 42:8 identifies abyss as the depth of the call from the human in exile to God. Psalm 71:20 knows hope even in these depths. The water from the rock is like an abyss (78:15). The earth is clothed with the abyss (104:6). The people are led through it (106:9) and the mariners are terrified of it on the sea (107:26). It is part of God’s delight (135:6). This is the creation that we find ourselves in: the unfathomable, time, gravity, and the inscrutable human heart, animal consciousness and the power of the natural order. This is the abyss along with its fearsome creatures. The place of the dragon is where we were crushed (44:20), but its heads are broken (74:13), and over it we will trample (91:13). Leviathan splintered (74:14) is God’s companion in laughter (104:26). Rahab, the defiant (40:5) is remembered in the city of God (87:4) and was pierced through (89:11). She becomes the metaphor for our boldness (90:10 and 138:3). Here we might invoke Christopher Smart again, for the devils themselves are at peace. The psalms weave creation, redemption, and deliverance into poetry reflecting these primal and critical themes from the Torah and the Prophets. See also Rendtorff (2005 p. 418 ff). The videos etc which I had here are no longer available. You will find several sample performances on the music page. One cannot finish without tidying up. And I had left a mess in a few places. I think I have now replaced all the posts that were hard to read because of font sizes. I also removed the funky borders and I found some psalms where I had completely missed the prosodic lines. One was Psalm 38, always a psalm that is instructive to read. I have left lots of problems with concordance across psalms. I think the creative synonyms of the King James version are a bad idea because they often obscure what I think is deliberate poetic framing, but total concordance would be equally bad. In one poem, large - like the epic Job, or small like a psalm, I think it is important to preserve concordance as much as possible, but in multiple poems, I have been less rigid (out of necessity). So across some poems, I will have missed concordance, but equally I will, if I catch it, try to avoid a rare English word if it will set up a false allusion to another poem. From Claude E. Cox on Jean Lévêque, Job ou le drame de la foi: Essais (LD 216; Paris: Cerf 2007). In this business of communicating with an ancient poet and redactor I will never be finished. In this business of being with the hope of all the earth, I also hope I will never finish. But there are times when finishing is much more like a circle than a straight line. Round and round I go till I jump out of the words and formatting and say - it is sufficient. What use are these patterns? Are they deliberate or accidental? Hebrew words: 84. Percentage of Hebrew words that recur in this psalm: 55%. Average keywords per verse: 5.1. 6 ultimate, ראשׁ (r'sh), or head, top, beginning, chief, ultimate etc. Note the Aramaic form of the second person singular suffix for remember. 8 the one who, interpreting the relative use of the letter shin, also in v9. rewards גמל (gml) in the sense of payback. See also Psalm 131 where the root indicates a nursing child on the mother's back. Verses 1 to 4 are first person plural. Verse 2 sets the scene. No word of verse 2 is repeated in the rest of the poem. This first part is about song. Verses 5 and 6 are first person singular. They are about Jerusalem, the place that is remembered when the people are in Babel. Verses 7 to 9 are prayer and address concerning the persecutors, Edom and Babel, who itself is directly addressed in the third person singular. Recall the only other use of smash in the Psalter is in Psalm 2, in which the anointed is reminded that he will like fashioned pots, smash them. The three sections are held together by remember with support in the second section by a repeated forget. This reading was pointed out by Magonet in his lecture at Oxford 2010. His advice for the reading of the psalms is a good part of the reason for my study, analysis, and writing on the psalms. Psalm 137 reminds us of the exile. This is the last direct mention of the exile, closing the bracket opened in Psalms 42-44. If one has not experienced exile, one cannot appreciate the shame, the memory, the loss of identity, home, place, and dislocation of community. While exile may be deserved or not, there are captors instrumental within it that need correction. To have noted that quotation from Charles Williams is a curious accident. Indeed the foundations of Jerusalem are exposed. We hear no more of exile after this. We had heard nothing of it prior to Book 2. The exile is not the saving event. While we may learn from our affliction, even affliction for our own sin, salvation is effected differently and is remembered. So Passover, so the Eucharist. But God makes his presence known both in rebuke and in mercy - and both are good. As the psalmist said - of affliction Psalm 119:71, 75, and of mercy Psalm 63:3. And I did not hesitate to translate the loving-kindness in Psalm 23 as rebuke. The entry and exit are marked. When you leave be sure to praise the proprietor. There is no entry fee but there is considerable cost to the viewing experience. You are free to spend as long as you wish - any time of day or night. Nights are particularly beautiful. You will notice couches, divans, and various resting places as you gaze on the beauty of holiness. The files to which the links have gone are no longer available. BS is the library catalogue id for Biblical Studies - it has nothing to do with the bulls and goats of Psalm 50. Is the God-given “good” meant for everybody, or is it only for a few? And how is your answer logically coherent to the faith you claim? So asks Brooke Lester on the comment thread here. What a great question! For me this question identifies the most basic faith - is where we find ourselves a part of good? The question emerges every time the word good or better occurs in a religious document. Better is worse than good by the way - it is the enemy of the good, as the French say. I have recently decided to avoid the word better in translation. The good is sufficient as is the evil to the day. So why do I study? It's all about the good for me and for others. For everybody? That needs some nuance. There is no 'everybody'. There is one other body at a time. For the few? Where is the sufficiency that the few might find it? Never far away as T.S. Eliot noted in his Journey of the Magi. Available in the place where we are no longer at ease. Is this answer coherent with the faith I claim? Ha! why should the answer cohere? Why should it not be good to be 'no longer at ease'? Is this question implying that God must cohere to my ideas? Also what is my faith that I claim? That the good that is shown to me is sufficient. But what if it is not shown? Then complain. I can't put it in a single word apart from that good that I know through the death of Jesus and the Anointing and Anointed of the chiastic TNKNT, the one Spirit that informs my good through the circumcision that is in Christ Jesus. I can only invite to the good - through the madness of tasting and seeing to which the slightly mad David invites us poor folk in Psalm 34. The actual quote - vague memory right on but context right off. "She was a magnificent creature, tall and rather large and dark, and she carried them off magnificently. In fact, she was a creation in terms of jewellery, the New Jerusalem turned upside down so that the foundations showed"
So what am I doing? I am reading the Hebrew out loud to myself and with a friend every week or two. (He is fluent and we read the Greek translation as well. Europeans are a lot better at languages than North Americans.) My reading has improved with this exercise as has my word recognition. I am also deciding what is there in the text - working specifically on my rendition of the poetic structure at the word and prosodic phrase level. From this post this morning from Calvin, at the Floppy Hat, I see poetics is an in thing to do. Let me be very clear: reading the text is good - like a lot of things. It is its own witness of what is under study. It is a first hand witness. I have read a few dozen commentaries on the text of the Bible. I was always in too much of a hurry to get to 'meaning' and too desperate to be 'right'. Both of these are irrelevant beside this first witness. The translations we have, good though they may be, are a second hand witness. They are always steeped in decisions that are outside the immediate reference you or I may need. It's not that the words cannot be translated - but that there may be something personal for you or for me that the translation cannot give you. For instance the word 'keep' in Psalm 121. In your native tongue, you might skip over it. It's obvious what it means. Or the translator may have used creative synonyms and obscured the repetition. But when you are slowed down enough to hear the sound שׁמר (shamar) in its repeated variations, then you get it. Especially when the moon wakes you up in the middle of the night and smites you - and you smile. I am also concentrating on the first time a word recurs in the psalter. This has repeatedly outlined the images in the psalms - even though I have touched only the frame unique to that poem. And even though I am working with clues from a routine I wrote to decipher the root given the consonantal word. The clues have been adequate to the task. Why am I doing this? To prepare myself personally to listen at the psalms conference in Oxford in September. And purely for pleasure - and for learning the language better. The opening psalm 107 is generic and describe's the work of יְהוָה throughout the world - all sorts and conditions of people. Then 108 is a repeat with variation of parts of psalms 57 and 60. It reminds us of the miktamim and the tune Do not Destroy and the political context in which the elect live, the foxes circling about the beloved. 109 is a severe curse of one who must come to judgment. It seems to prepare 110 which has no new frames. The acrostics with Hallelujah follow Psalms 111 and 112 - the poet Mary Herbert, Countess of Pembroke provides a lovely reading of these - her book is embedded here. 119 feels like the end of the psalter - the psalmist for all the humility expressed, also writes with words that are new frames even this late in the book the equivalent of "I observe the testimony"
The songs of ascent - we are on the fifth step. Where will these take us? 120 and 122 have no new frames. 3 weal, חיל (xyl), or wealth or force, both of which I have used in other verses. The חיל of Egypt is destroyed in the sea. The parallels expressing womb and youth suggests a birthing image. The archaic weal (e.g. as in common weal) can be used to mean both wealth and hurt as in the birth process. There is a superb Korean recording of the Handel Dixit Dominus - but it is too slow to load. The other performances that I 'saw' were too out of tune to begin to 'listen to'. Here is the same choir doing De torrente in via bibet, propterea exaltabit caput and the Gloria. It is superb. This psalm is pivotal to the understanding of the Anointed (remember the oil of Psalm 109 and anticipate the dew of Psalm 133). נִשְׁבַּע יְהוָה וְלֹא יִנָּחֵם - Hashem has sworn and 'will not repent'. Imagine reading this and hearing (the ear being open you would not have to try to 'figure it out') what would satisfy the desire for good that is in the root and branch of creation. The satisfaction (of God) would be that there was one who loved as he loved, one who loves as he loves, one who gives self to that love in the magnificence of the covenant love that is from the beginning. The earthling seeing this anointed one would confirm that it was (we may say) satisfactory. The act of seeing gives life and healing and allows the giving of self to the same covenant love that is from the beginning. רְ֝דֵ֗ה בְּקֶ֣רֶב אֹיְבֶֽיךָ 2 Yahweh will send the rod of your strength out of Zion. לְ֝ךָ֗ טַ֣ל יַלְדֻתֶֽיךָ 3 Your people are willing in the day of your weal. yours is the dew of your childhood. מָחַ֖ץ בְּיוֹם־אַפּ֣וֹ מְלָכִֽים 5 My Lord is at your right hand. He will wound kings in the day of his anger. מָ֥חַץ רֹ֝֗אשׁ עַל־אֶ֥רֶץ רַבָּֽה 6 He will advocate among the nations, a fullness of bodies. עַל־כֵּ֝֗ן יָרִ֥ים רֹֽאשׁ 7 g He will imbibe from the torrent in the way. Here are the new frames by psalm for Book 4. No doubt that Moses is the envelope - but what is in the package? I can't say that I have an answer. Most of these psalms have no handle - like an author or the like whereby one might put them into a 'package'. Is the throne of ruin in league with you? framing toil on a statute? I suspect the above 4 psalms have a structure 'together'. There are several repeated phrases in the four. 102 - prayer - of withered herbage - Hebrews applies words to the son that are applied to יְהוָה in this psalm. Well I've nearly been defeated by technology. 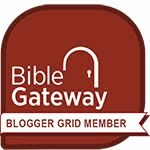 Psalm 89 disappeared twice from the blogger editor. I think I must find a better editor - the problem is they are the only ones who have any handle on right-to-left and left-to-right mixed processing. Anyway - since our last summary, we have 'done' 11 psalms - three of them had no new frames. And they didn't seem to be recapitulation. Poems are like that - they are what they are at the time you read or sing them. Again I continue to see apt new frames - never used before - for the subject of each psalm. I am wondering if there is a concentration of the word Adonai - Lord in recent psalms. There is an increase in usage and a decrease to come. Psalm 80 - the rooted vine in tears - Here was where I got tangled in bloated html - and the syndicator would not post the psalm. Nearly discombobulated I was. I even published this one twice. You reader are very important - you keep me honest. I review my work and will continue to do so. Psalm 85 - truth springs from the earth - so no magic numerology like chiastic accidental patterns please. And if you do this, listen to the check in your spirit that says: no, no, no this is not proof - this is embarrassing. - Now here's a thought - No God, no sin - but also no human, no God? No - even the stones are sufficient but the proof is in the beauty of observation that is accurate and stands the test of scrutiny. Psalm 86 - but you - to be magnified in Psalm 89. Is it possible for the human to overcome diminishing resources? This prayer of David - the last of the ones in Books 2 and 3 - is very beautiful. Psalm 87 - who was born here? Psalm 89 - of faithfulness sworn - creation and covenant not profaned - I wonder too if there is some irony in some of the verses in this psalm. or fail to remain in my judgment? or fail to keep my commandments? and with stripes their guilt! Psalm 89 is said to sum up the failure of the monarchy. It lists with the corporate laments and the Maskilim - the great chunk of these final poems of Book 2 is still merging together in my mind. The nested divisions by attribution are only a partial help in resolving the coherence into a few words. Perhaps Books 4 and 5 will provide some help - to which we now proceed. If recurrence is significant then we must consider why there are certain psalms that repeat - especially as we are in a section of psalms related to geography and tribe. And one of these repeats. There is a preliminary structural model here - it is not successful in revealing pattern but it does show that the large repetitions: 14 - 53 and 60 - 108 are spaced like four part walls in the gallery. I wonder if they surround any set of things that could be perceived with some helpful coherence. Now there's a carnival that just keeps on going. Thanks to Henry for his mention of this marathon on the psalms. Christians - please ask some tough questions. And read with joy. a set of psalms of David - from 3 to 41 (only psalm 10 has no attribution but it is a continuation of the acrostic of psalm 9). Attributed to David are two psalms of special names: maskil - of insight, and miktam - inscribed (roughly). at the beginning of Book 2, we found a change in attribution (Korah) and a change in the divine name which will last to psalm 86 just before the end of Book 3. In the middle of Book 2 after a series by Korah (really including psalm 43 also) we pass the first of Asaph, a foretaste of what is to come in Book 3. But first there is a second set of psalms attributed to David. Five of these are miktamim, three of these and a fourth are headed with 'Do not destroy'. They are essential - not to be thrown out. These in turn surround a section of three unattributed harvest psalms 65, 66, 67. These, besides psalms 1 and 2, are the first group of unattributed psalms. There will be several more in books 4 and 5. Following the David group, Book 3 begins with Asaph and ends with Korah. Books 2 and 3 have a familiar sandwich pattern Korah - Asaph - David - harvest - David - Asaph - Korah. and all books end with praise. Psalm 149 closes what psalms 1 and 2 began. See also this image. Easier to see than to describe. As we read, I am concentrating on the repeated roots that are new in each psalm. These I count as frames though they may frame the whole psalm or only a part of it. Click on psalm summary for the other summaries. I won't anticipate more of where we are going, because, though I have been there, I am seeing new things in every psalm because of this concentration on which recurring words are new. There's a monster diagram of these linked from the page defining the frames - under WIP above. This process is scheduled to be completed before the middle of September. It is I admit, a bit of a marathon. Psalm by psalm I am now trying to characterize each psalm by its new frames in the title of the post - so you can see the summary at a glance on the right panel of archive links. A set of Davidic poems are in this section of the gallery - and they are noted as complete with Psalm 72 - where by implication Solomon is included in the Davidic group. Some nice smelling lavender with backlight from our clerestory windows, and some more flanked by roses and hydrangea. We have seen the envelopes - here is a short summary so far. First we can go beyond the initial structure I posed earlier. The psalter is formed in several concentric groupings. the similar structure of the five books - all ending with praise. I am not the first to point these out but they are confirmed so far in my sequential reading. I can imagine the collections taking shape in multiple locations and then perhaps at the return from exile, a few cooperative priests together merge them. What strikes me is the switch from David to Korah/Asaph and back again with the odd outliers in what may well be strategic positions - e.g. 75 as the final of the Do Not Destroy series or 142 as the last Maskil etc. 53 - this Elohist repeat of Psalm 14 reminds us that all is not well on the earth. It is named as a Maskil though its double is not. Psalm 56-60 - five troubling even bloodthirsty psalms follow this note on the inner battle! They end with the clear statement of who is in charge. Why are these miktamim together? Why is Psalm 16 also a miktam? Here's a rework and correction of the earlier image. David's border colour is red, Asaph in book 2-3 only green, Korah blue - book 2 and 3 only, I had slipped from one Moses to two and two Solomon to one - easy slip to make. Can you write a maskil or a miktam? Do you only blog because you're right and you can put to right the rest of the world? I'm sure you wouldn't put it quite that way. I do have something that may find a way under the thick skins, stiff necks and hard hearts of others too. You never know.